Running a business can be a dream come true, but that dream can sometimes become a nightmare if you’re dealing with a business lawsuit. While your company being sued is something you don’t really expect, this shouldn’t be taken lightly. If you’re not well-prepared to handle it, lawsuits can put your company in a bad light. If you want to know what to do and not to do when someone sues your business, here are some tips that you should keep in mind. 1. Review the lawsuit paper with an attorney on your side. It’s imperative that you sit down with an attorney while reviewing the lawsuit papers. The attorney will help you check all the details and make sure that it contains the proper people or entry related to the issues. With their knowledge and skills, they may be able to determine whether you can move to dismiss the action or proceed with verifying the allegations indicated in it. At this stage, your lawyer may ask you to preserve all data that may be used in the litigation. When you’re hit with a business lawsuit, find people like veterans attorneys who can help you explore all available legal options. 2. Notify your insurance provider. If you think one of your insurance policies doesn’t cover the suit you’re involved with, be sure to get in touch with the insurance provider right away. 3. Think about how to proceed and respond to the suit. Receiving a lawsuit means you need to follow the deadline for submitting a written response. While the filing period varies from state to state, it’s essential to consult an attorney regarding this matter. ● Whether you’re looking for an alternative solution or bring the suit to a jury trial. At this stage, ask your lawyer to explain the legal processes, strategies, and the estimated costs of the different legal proceedings. Don’t also forget to ask about the advantages and disadvantages of proceeding with the lawsuit. Regardless of your decision, make sure you have your attorney checked your response before sending them. 4. Look for a defense attorney. If you don’t have one, be sure you have a defense attorney on your side. It’s best to have someone who is knowledgeable about the types of claims indicated in the complaint as well as the court processes. You’re advised to conduct thorough research and get recommendations from family and friends. You can also use the Internet in finding the right attorney for your business. These days, looking for a law firm online has been easier through the help of theseomarketingcompany.com that works hard to make their law firm successful in the online world. 1. Communicate with the plaintiff at all. To protect your business’ interests. You should refrain from keeping in touch with the plaintiff until you’ve carefully reviewed the lawsuit papers. That’s because anything you say may be used against you. It is, therefore, important that all communications with the opposing party should be done through your attorney. 2. Assume that your insurance will cover the suit. When you’re dealing with a business lawsuit, don’t ever assume that your insurance policy automatically covers it. The best thing to do is to talk to your attorney and confirm whether or not your insurance coverage covers the suit. After all, there may be some circumstances that exclude it from your policy. 3. Take the suit for granted. 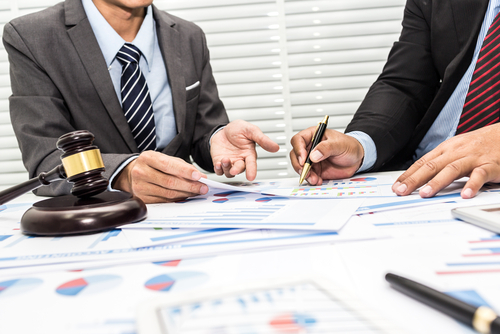 Business lawsuits can be costly especially if the plaintiff wins the case. That in mind, you should be mindful of the time limit you’re allowed to file your response. Your failure to file on time gives the plaintiff a right to request for default which means the judgment will be in their favor and it will be enforced against you. 4. Work with a poor communicator. Like any other business matters, clear communication can be a great way to ensure that litigation will go as smooth as possible. You want to make sure your attorney is well-versed in the case. For instance, a qualified lawyer should be able to provide you with regular status reports as well as the copies of the correspondence about the case. 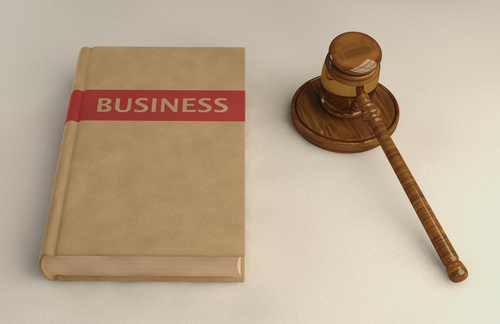 No matter how careful you are, your business will be susceptible to lawsuits. That’s why it is always a good idea to hire an attorney who can help you deal with any case. Keep these do’s and don’ts in mind so you’ll know what to do in case someone else sues your business.